Source Gaming has put together a complete translation of Super Smash Bros. director Masahiro Sakurai’s latest column in Famitsu. As we mentioned last night, this new piece is entirely about downloadable content. Read on below for the translation. In the Users’ Eye section of this magazine, “Sm4sh for 3DS” was the top scoring game of 2014 with an average of 9.58! Personally, I’ve never seen such high marks before, and I would like to thank you for your incredible support. As I have mentioned in this column, Smash is made up of the incredible hard work and sacrifice of myself and others. I, too, acknowledge, that developing the Smash games is the best way to satisfy the most players worldwide. And that is precisely why we decided not only to distribute Mewtwo, but to also reintroduce Lucas, the protagonist of Mother 3, as a playable character. In other words, we plan to release premium DLC (downloadable content) for Sm4sh. The same goes for Sm4sh. We could have easily reserved a few characters on the current roster and later sold them as premium DLC. A considerable amount of work went into development, and the game would have already featured a ton of content. Plus, if you were looking to make a profit, DLC would be the way to go. Development is more costly than ever, yet the price of games has remained the same, so more income would help offset that imbalance. However, the DLC we are releasing for Sm4sh is authentic, developed only after we finished working on the main game. Of course, said content will come to you at a premium as compensation for the work put into developing additional content post-production. Nintendo has the final say on the price, but given the number of man-hours spent on the creation of this DLC, I’d say it’s a great deal. We originally decided to create Mewtwo on the premise that we would distribute him as a special thanks to users who bought both versions of Sm4sh, but we realized a flaw in our logic. For example, in a family with several children, each child might have their own 3DS but share the same Wii U. If we were to only distribute Mewtwo to those who purchased both versions of the game, only one of the children could play with this new character on his or her 3DS. 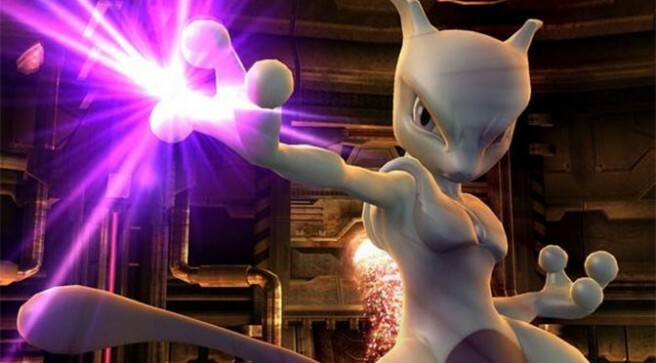 Thus, we decided to offer Mewtwo as premium content for other users as well. Our team may have shrunk in size, but I’m still just as excited as ever to be pouring my heart and soul into my work every day. Given the different types of content we’re producing, it wouldn’t be surprising for the planning of one item to coincide with the development, balancing, and finalization of several others. We also have version updates, online features, and additional modes to worry about. It can be quite overwhelming, but it’s all about making players happy. Fighters take an incredible amount of work to develop, so I don’t think we’ll be able to produce that many. Part of me would also love to finish up the project and finally enjoy some rest and relaxation. That said, we’ve already begun development, so I would like to provide as much additional fun and excitement as possible from here on out. We’ll continue working for a little while longer, so please stay tuned! On the morning of April 2nd, 2015, we announced our plans to release premium downloadable content for Sm4sh. We will be accepting suggestions for future fighters via the Super Smash Bros. official home page until October 3rd, 2015. The once-timid protagonist of Mother 3 first joined the fray in “Super Smash Bros. Brawl” for the Wii, and now returns braver than ever in Sm4sh! Like Ness, Lucas commands a wide array of PSI abilities like PK Fire and PK Thunder. His trusty friend Rope Snake also returns to lend a hand–er, tail–in a pinch!